In partnership with IS&T, ETS, the School of Social Welfare and the Library, the campus-supported Citrix service has been expanded to provide access to research tools that are costly or difficult to setup on local machines. This guide answers questions about how to get started with the service and what to expect when using the tools in the virtual lab. Once the tools have been added you can launch them on the main screen. ​Stata and SPSS are currently supported on the Citrix research environment. Stata has licenses for 20 concurrent users and SPSS has licenses for 40 concurrent users. How do I access the tools? ​You can access the tools by going to http://citrix.berkeley.edu in your web browser. The first time you visit Citrix you need to install the Citrix Receiver on your machine. More detailed instructions on using Citrix to access these tools is available in the CSS Knowledge Base. The virtual lab is not meeting my needs, what other options do I have to access these tools? I am a student and am having trouble logging in. What is wrong? 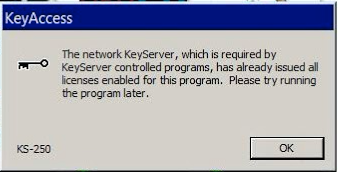 I am getting a "KeyAccess" error when I try to launch Stata - what is wrong? The Citrix project currently has a limited number of Stata licenses which are tracked using a keyserver. Try again soon and a key should be released. We are monitoring the number of concurrent users and will adjust license limits accordingly. Citrix gives you secure access to certain UC Berkeley applications that are not installed on your computer workstation (e.g., BAIRS; Cal Planning) as well as to applications that can be used for individual projects such as Excel and SPSS. Using CITRIX eliminates compatibility and security issues that occur when running web browser versions for each application. To access Citrix you will need to install the Citrix Receiver. The Citrix Receiver is a client and web browser plug-in that provides you wit secure browser access to certain UC Berkeley applications from any location. Once you have Installed the Citrix Receiver go to https://citrix.berkeley.edu and log in using your CalNet ID and pass-phrase. The first time you access the Citrix Website you may be asked to allow the plug-in or add-on to run. Click Allow or Always run. Information can be found on topics such as issues related to Citrix implementation on specific computer platforms, printer support and how to resolve common problems.